Not compatible with US Gamecube system. Read more here. 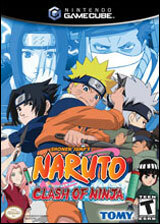 Naruto is a fast-moving, arcade-paced 3D fighter that is fun and addicting. The gameplay is good enough to make this game a good purchase regardless of its fantastic license. 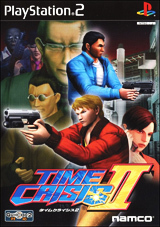 If you are fimiliar with the series however, then this game is doubly fantastic. 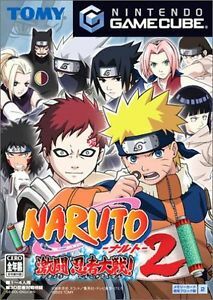 The game features over 20 fighters from the Anime series of which 10 are available from the start. A cel-shaded look differentiates the project from other brawlers. Fighters look like their anime counterparts, animate fluidly, and run through varied environments with many impressive moving backgrounds. 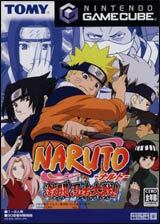 Naruto runs at an uninterrupted 60 frames per second even with 4 players duking it out at the same time.